There are things to do and see on Grenada outside of St. George. 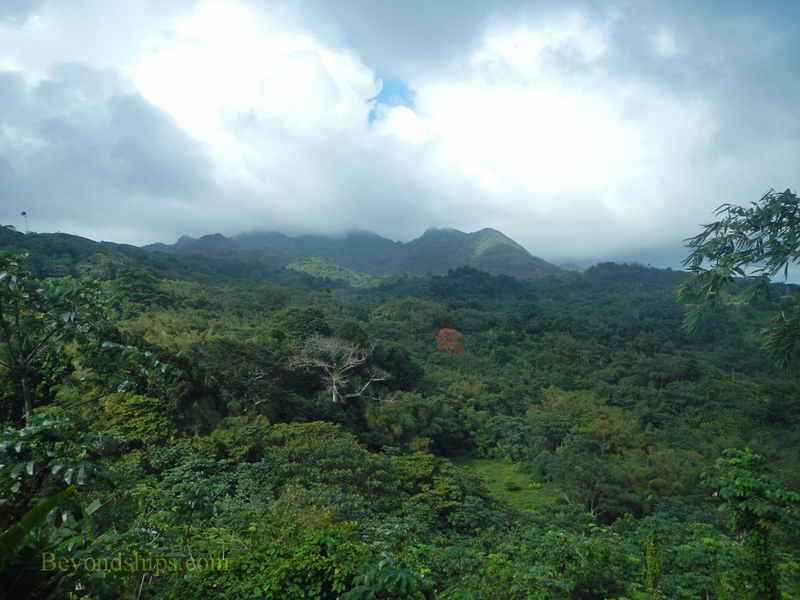 A large portion of Grenada's interior is covered in rain forest that is being preserved as national parks. These areas provide scenic beauty as well as areas for hiking. Grand Etang Lake is a volcanic crater lake located in Grand Etang National Park. It covers 3.5 acres. Although it is located high in the mountains at 1,800 feet above sea level, it is believed to be connected to a submarine active volcano called Kick Em Jenny. This hypothesis came about when it was announced that the waters of Grand Etang were bubbling at a time when Kick Em Jenny was erupting. Visitors should keep in mind that the lake is located in a rain forest. 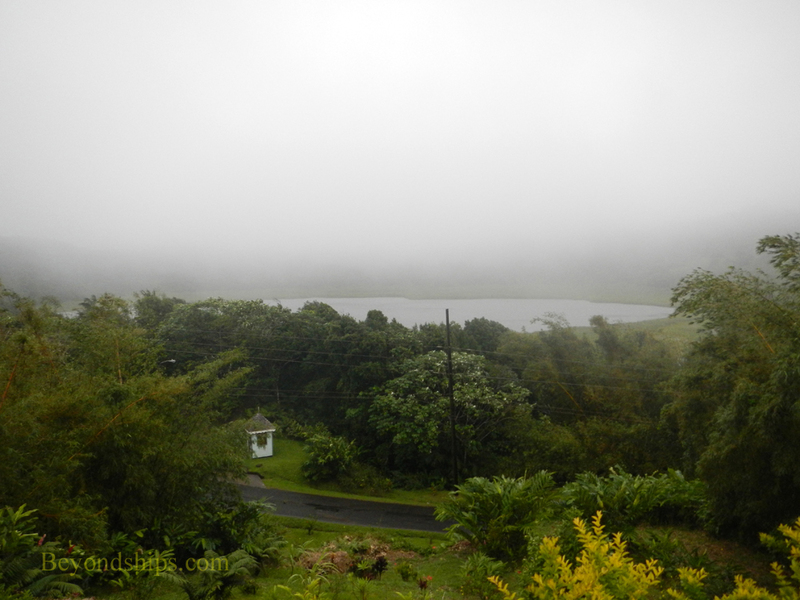 Consequently, views of the lake are sometimes obscured by rain showers and clouds. The forests of Grenada also contain a number of waterfalls. Annanddale Falls is the most popular of these. White water drops 30 feet down into a rock walled pool. Lush vegetation frames the grotto. Visitors get from the car park to the falls via a paved path. It winds through well-tended gardens and some more natural areas. Ambitious locals jump from the top into the pool in hopes of receiving a tip. Various other entertainers and vendors can also be expected on days when a cruise ship is in port. 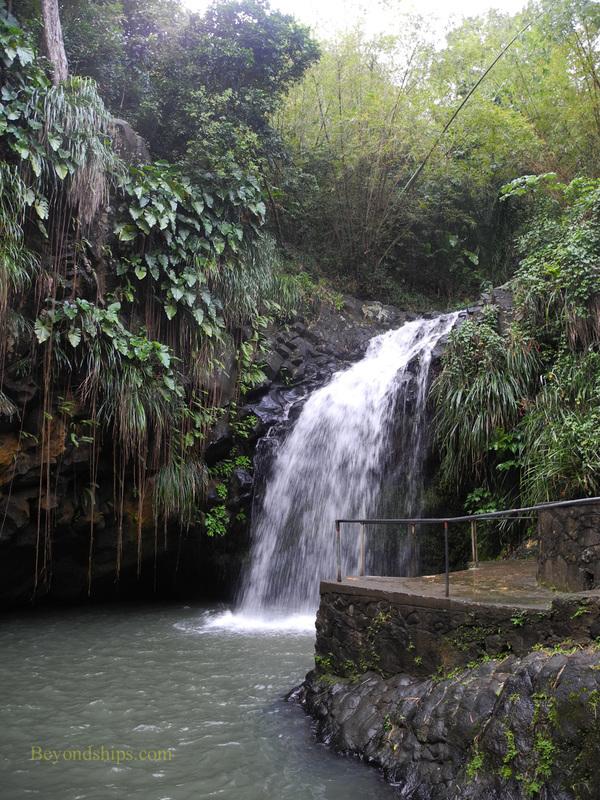 Grenada's other waterfalls require more effort to see. Concord Falls is not one but three falls and to see all requires a hike through the rainforest. Along the same lines, Seven Sisters Falls in Grand Etang National Park requires a 45 minute hike through the forest and a plantation in order to get to the falls. Visitors can cool off in the pool below the falls. Grenada is often referred to as the "Spice Island" because of the various spices that are grown on the island. For example, it provides 40 percent of the world's nutmeg. Not surprisingly, visits to spice plantations are popular. 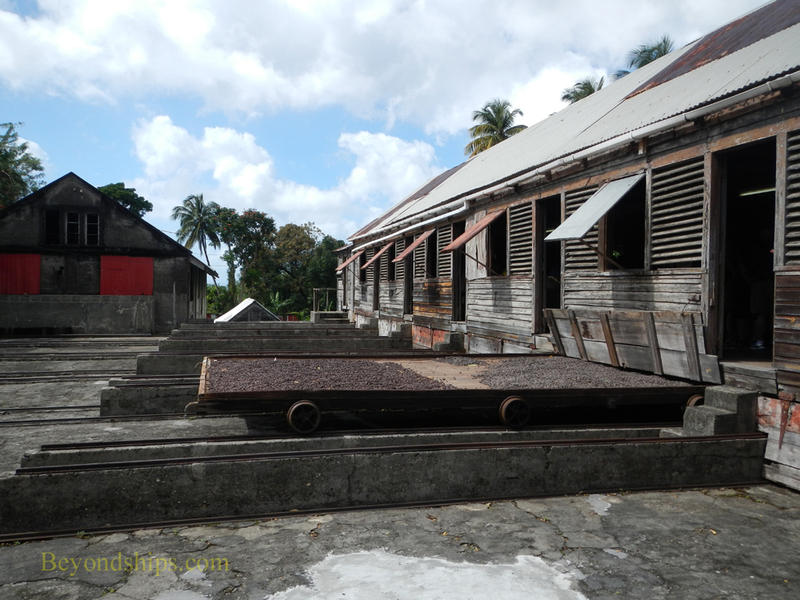 During a visit to a spice plantation, you can see the harvested spices laying in large trays to dry in the sun. Inside the buildings, staff members show various types of spices and explain how they are harvested and processed. Visitors also have the opportunity to purchase spices. ​Above: Spices in drying trays outside of a boucan on the Dougaldston Estate.